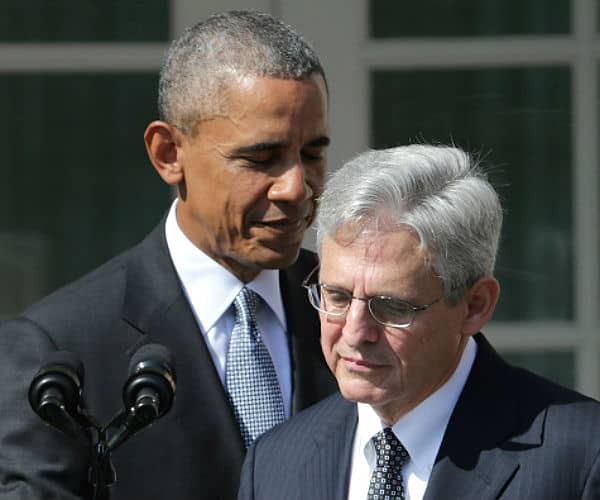 President Barack Obama nominated Garland, 63, to replace Associate Justice Antonin Scalia, who died on Feb. 13. He was appointed to the appeals court in 1995 by President Bill Clinton and has been chief justice of the court in Washington since 2013. Garland has long advocated for stricter gun laws. In 2007, he voted to reverse a D.C. Circuit Court decision striking down Washington’s handgun ban as unconstitutional, The Daily Signal reports. A three-judge panel had ruled against the ban in what became known as the Heller case. Seven years earlier, Garland backed a Clinton administration move to maintain the registration of gun owners, according to the Daily Signal. His vote in [that] case supported the White House’s efforts to use the instant check to illegally retain the names of gun owners for six months…. In the Heller case, Scalia cast the deciding vote and wrote the majority opinion, the Daily Signal reports.